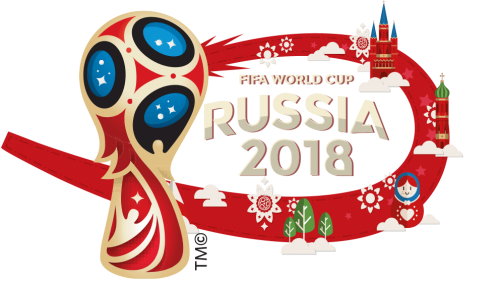 Find out the current streaks from the teams of the World Cup in Russia and take advantage of this information to bet with value! We present a series of data that are not easy to find where the current streaks of all the teams for the main markets of the complete match and of the first half, with the results of more than 1500 official matches since 2010. In this third series of statistics for the World Cup 2018 is analyzed a factor as important as the current streak of the teams, that is, the results obtained in their last official games. You can see in a very simple way through the different tables the number of the last consecutive winning, drawing, or losing by each team, or on the contrary, how many matches in a row they have not lost, etc. The same for the goals, you will be able to see in an efficient way the consecutive overs or unders that each team has in the official games played. Games played. The number of official matches played by each team for this period of analysis. Consecutive Wins/Draws/Losses. Indicates the number of consecutive matches with victories, draws or defeats of the team in the 90 minutes of the game, without taking into account a possible overtime or penalties. It refers to the current streak of the team, that is, the number of the last consecutive games won, drawn or lost to date. Consecutive Wins/ Draws/Losses in the first half. The number of victories, draws or defeats in a row of the last games of each team in the first half of the match. Consecutive Over/Under 1.5, 2.5 goals. It shows the current number of consecutive games that have ended with Over or Under 1.5, 2.5 goals, adding the goals of both teams in each match. The 90 minutes of the game are taken into account. Consecutive Over/Under 0.5, 1.5 goals in the first half. It shows the current number of consecutive games that have ended with Over or Under 0.5, 1.5 goals, adding the goals of both teams in the first half of the game. In order to better understand the data, let’s see it with a concrete example, and in this way, it will be much easier to read. We analyze the data of the German team. The statistics shown are read as follows. Germany has won the last 7 official matches they have played, so they have drawn or lost the last zero matches. If we look at the opposite runs, we see that it has zero consecutive games without winning, because they have won the last 7 games, and they have 7 games without a draw and 15 without losing. As for the statistics of goals, in the last 4 matches played by Germany, more than 1.5 goals have been scored in the match (by both teams), and there have been more than 2.5 goals in the last 4 matches. Germany has drawn at the first the last official match that has played, as the previous one has been won, so the last streak at halftime is a draw, and zero lost or won. If we look at the opposite runs, we see that it has zero matches without drawing at halftime, since the last one has been drawn, and Germany has 1 game without winning and 15 without losing at halftime. As for the statistics of goals, in the last 6 matches played have scored more than 0.5 goals in the first half (by both teams), and have also scored more than 1.5 goals in the last 3 games at halftime. Once we know how to read the stats, the data collected for all the selections are shown below. First, you can display the current streaks of the teams for the full game, without counting overtime or penalties. From these data, the most remarkable is the good shape of countries such as Senegal, Iran, and Germany with a large number of games without losing. Iceland and Poland are the teams that lead the standings in terms of matches without a draw, with 9 games. Spain and Germany are the first in the ranking of wins in a row, they have won the last 8 and 7 matches respectively. As for the most significant results of data at halftime, we see that the Croatia team has not lost in the first half the last 31 official matches. On the other hand, we find Poland as the national team that has the most official matches without drawing, the last 7 matches at halftime finished without a draw. This kind of statistics are very useful to find value in the matches that are going to be played, but we suggest you take caution if you decide to bet in some of the World Cup markets. Unlike the regular leagues that we have in our Betamin Builder tool to create strategies, the data of the selections have to be analyzed with more care than a normal league. To begin with, the results, although they are taken from official matches, are not results based on games between the same teams that participate in this World Cup, or even the groups in which the different selections are framed. Most of the results come from qualifiers for championships within the same continent or final phases, except for the data from previous World Cups as such. That is to say, the data of the African teams are based mostly on the qualifiers or final phases for the African Cup, the same for the teams of South America, or Asia, etc. Beyond this, we must bear in mind that the statistical weight is much less than the data obtained from regular leagues. This does not mean that these statistics are not valid for this purpose, but we simply recommend in these cases to reduce the stake for these bets, and not risk too much.